Welcome to Mastication Monologues! 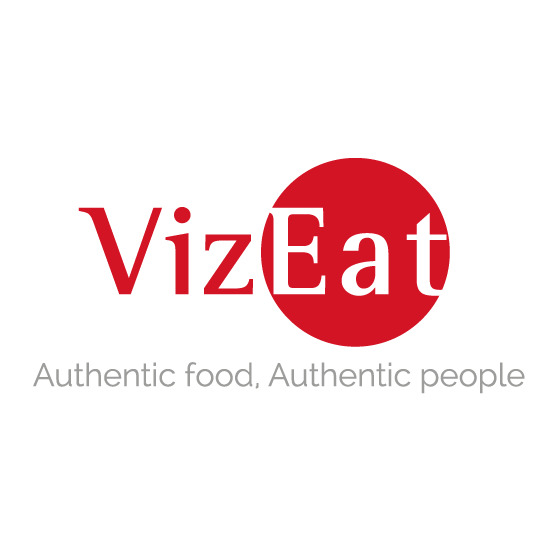 If this is your first time here, prepare to be amazed with some of the most unique and delicious food adventures you’ve ever seen. If you’re coming back, then thank you so much for your support and your views. Remember to always tell your friends about my reviews as well. 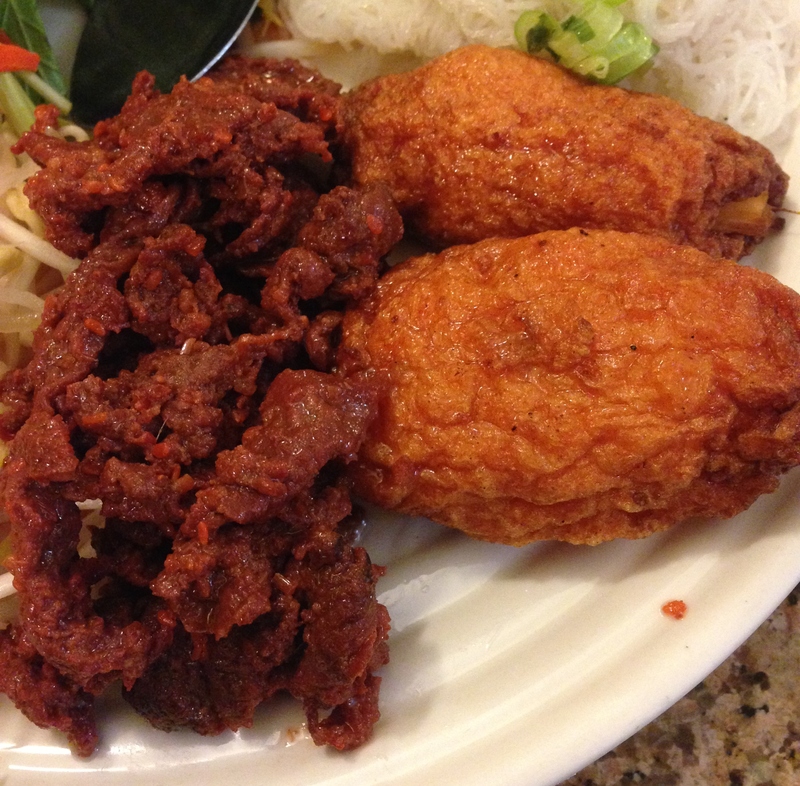 So, today’s post deals with a cuisine that I never really dabbled seriously in until recently: Vietnamese food. For a majority of my life, I ate mostly Chinese or Japanese food, but then I started dating my lovely gf Janice who just so happened to live next to Little Vietnam in Chicago. 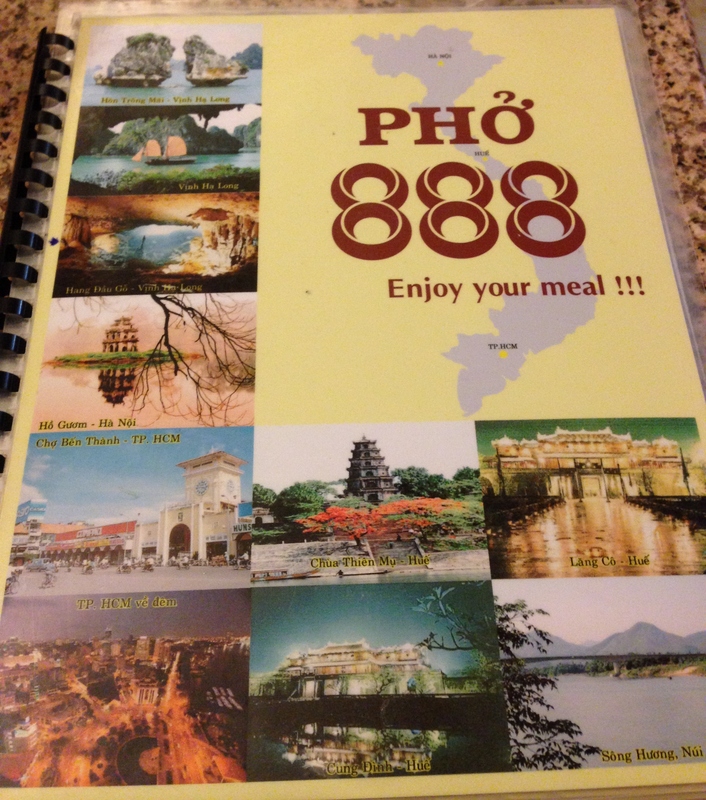 Therefore, the amount of Vietnamese restaurants I have tried now have increased greatly, and Pho 888 is one of them. 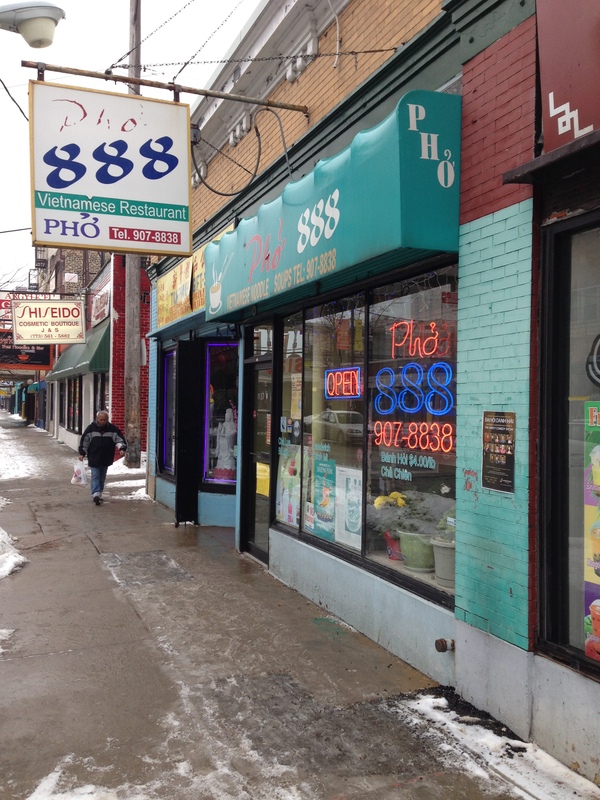 If you walk down Argyle street, you’ll be beckoned by every storefront since there is a plethora of Vietnamese eateries and Chinese bakeries like the iconic Tank Noodle shop or Bale Sandwiches, but I wanted to try Pho 888 since I had heard good things about it. Plus, it didn’t seem as Hollywood as the more popular eateries. Janice, Michael, and I hit this place up back in December a.k.a. life in the Ice Age. So, they both wanted to get the quintessential Vietnamese dish, pho, but I was in the mood for something different. 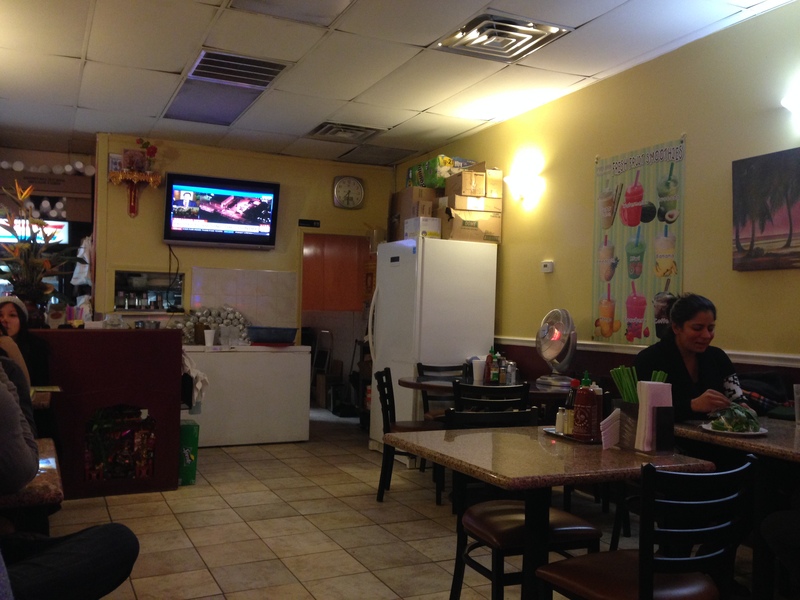 Inside, the place was super simply furnished with plenty of chili sauces and seasonings on the table. It’s literally a dining room and a kitchen. The menu was huge like any good Asian restaurant, and the prices were pretty cheap (range of 4-12 bucks per item). After a bit of deliberation, we made our choices and waited for the food to come out. 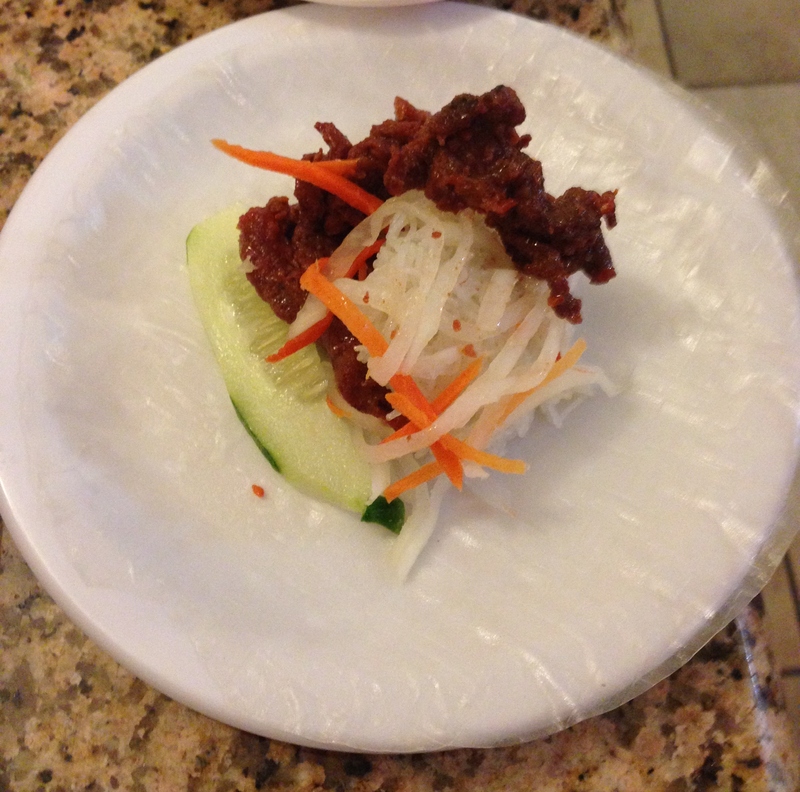 The first dish we sampled were the gỏi cuốn or “salad rolls” in English. 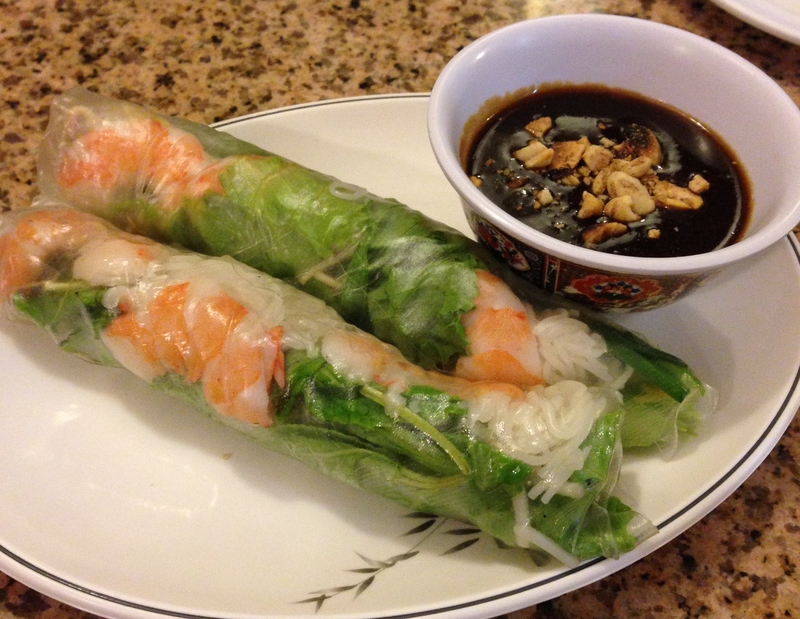 They consisted of bún (vermicelli noodles), cooked shrimp, herbs, greens, and it was all wrapped up in bánh tráng (rice paper). These rolls were served at room temperature and were a refreshing alternative to fried spring rolls that sometimes can be too greasy. The tương xào (hoisin sauce) that was served on the side had peanut pieces in it, but all of it put together was delectable. The sticky rice paper was strong enough to hold all of the ingredients within its insanely thin cocoon. Everything from the shrimp to the fresh cilantro and lemongrass made this dish really pop, and dipping the rolls in the sweet hoisin sauce blended well with the herbal notes from the vegetables. As for the vermicelli, it provided a much needed body to the rolls and a solid foundation for the house party that was happening in my mouth. 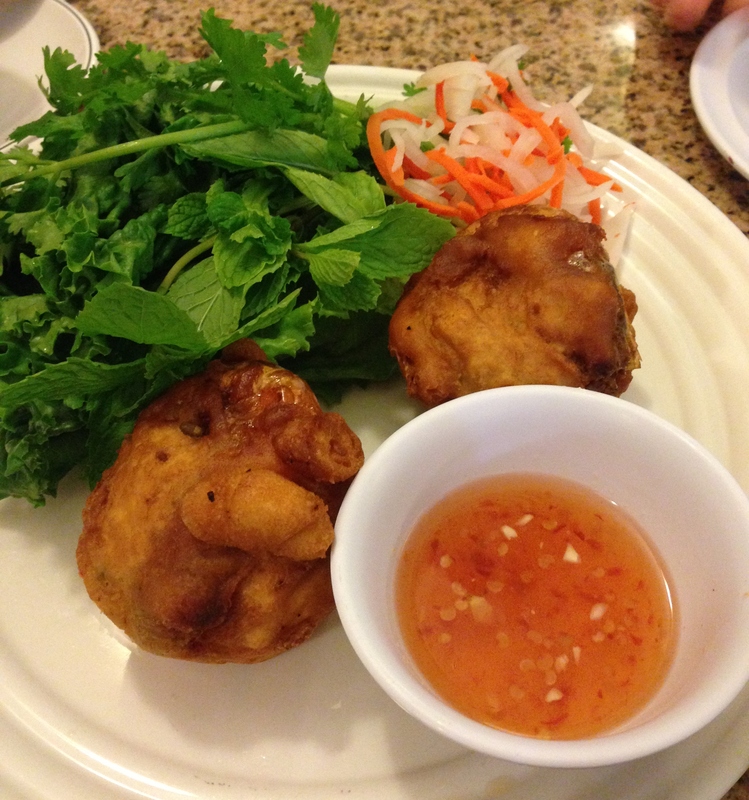 The other appetizer we got, the fried shrimp balls, were quite the opposite experience. While they looked scrumptious on the outside with their golden brown exteriors with an accompaniment of greens, pickled radish, and some sweet and sour dipping sauce on the side, what we found inside was horrifyingly gross. I don’t know what was inside them, but it was like eating pre-chewed eggs mixed with seafood with the consistency of cream cheese. I’ll just leave you with that image. On the plus side, my main course came out soon thereafter I tasted one of these horrid appetizers. I got the chả tôm (shrimp cake) and pork combo that was paired with more noodles, greens, pickled radish and carrot salad, fresh cucumbers, rice paper, and a bowl of warm water to make my own gỏi cuốn. 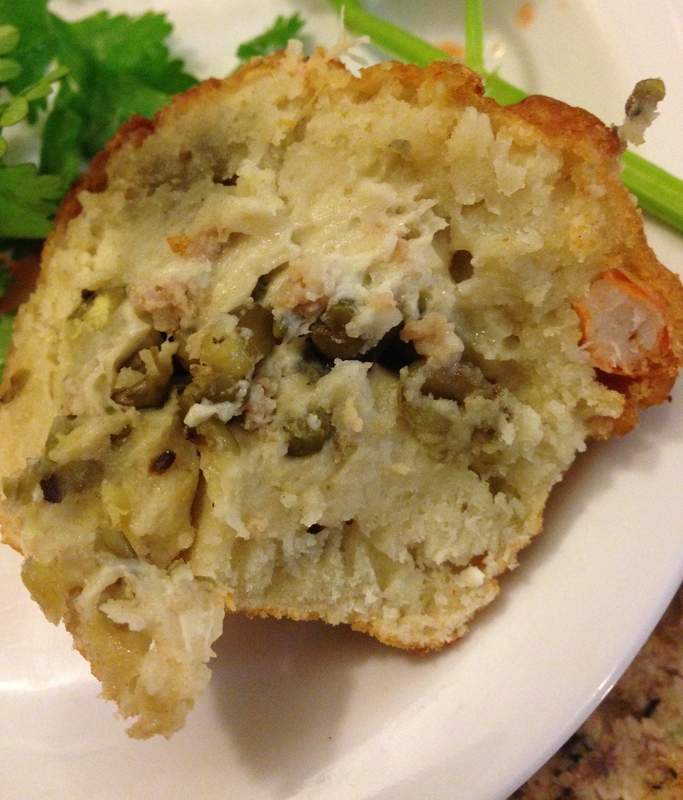 I tried a bit of the shrimp cake, but I really didn’t like it. 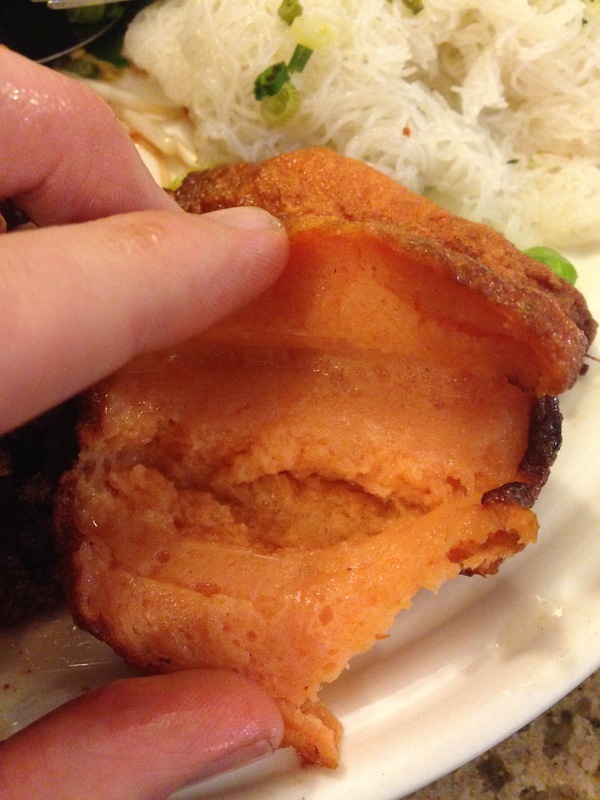 It was more fishy tasting than the fresh shrimp from the salad rolls we ate earlier in the meal, and it just seemed oddly artificial with its orange, spongy, Nerf-like interior yet wrinkled, glistening exterior. So, I focused more on eating the seasoned pork that was stir fried in a chili sauce that had plenty of personality to make up for the awkward shrimp cakes on my plate. So, I set to making my first Vietnamese spring roll. 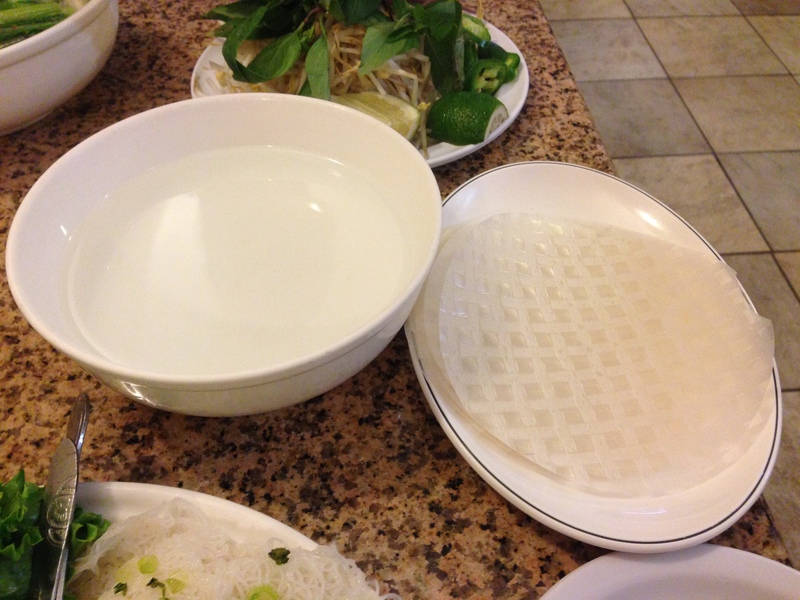 First, I had to take one of the rice paper disks and submerge it in the warm water. Once wet, I placed it on my plate, and I placed my ingredients in the middle of the nearly invisible Vietnamese version of a tortilla. Then came the tricky part. Rolling this rice paper up into a presentable roll was way more difficult than making a taco since the edges of the rice paper were incredibly sticky which meant that if you didn’t position your toppings right while rolling, then you risked a lopsided roll that will explode all over your hands/clothes when you bite into it. After some trial and error, I finally got the hang of it, and it was an interactive meal that I really enjoyed. As for Michael’s and Janice’s pho, I found it to be just below Tank Noodle’s version since it seemed to be a bit more on the salty side, but it still was delicious and kept us warm against the frigid conditions outside. 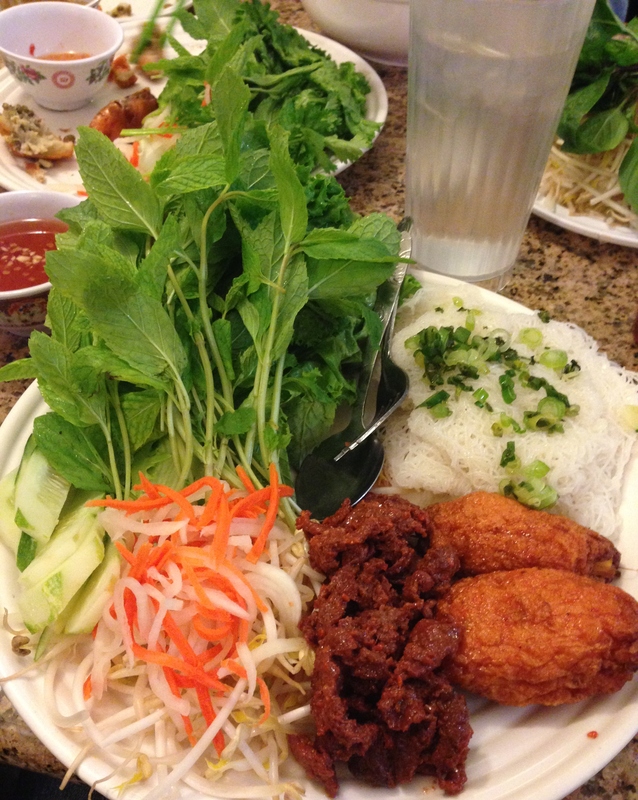 So if you’re looking for a real authentic Vietnamese restaurant in Chicago that may not be the best but does have simple and fresh food for reasonable prices, check out Pho 888.